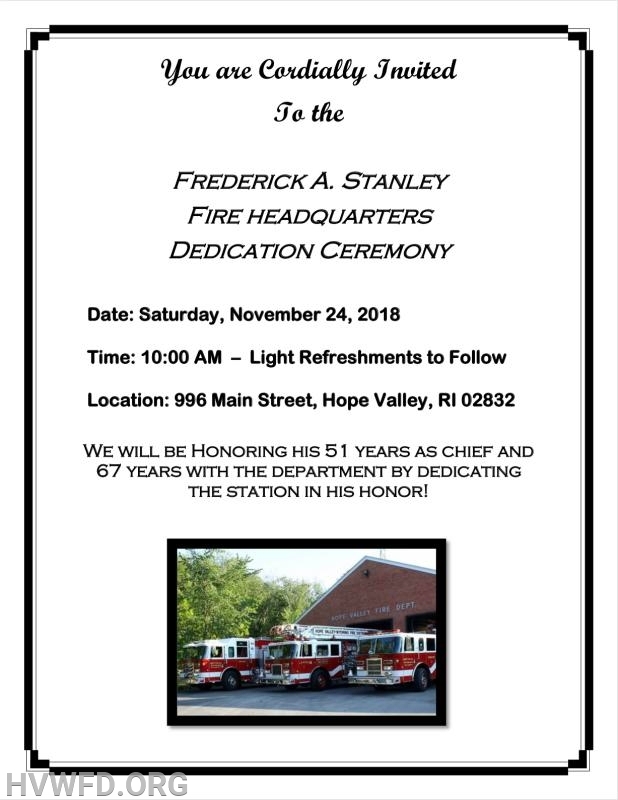 On Saturday, November 24th at 10am, we will be holding a Dedication of the Hope Valley Fire Headquarters (996 Main Street, Hope Valley RI) in honor of Retired Chief Fredrick A Stanley. Chief Stanley proudly lead the department for 51 years (as Chief) while enroute to his 67 years of service to the Hope Valley community and beyond. This is a public event. Light refreshments will be offered. Responders asked to attend in Class A uniform.